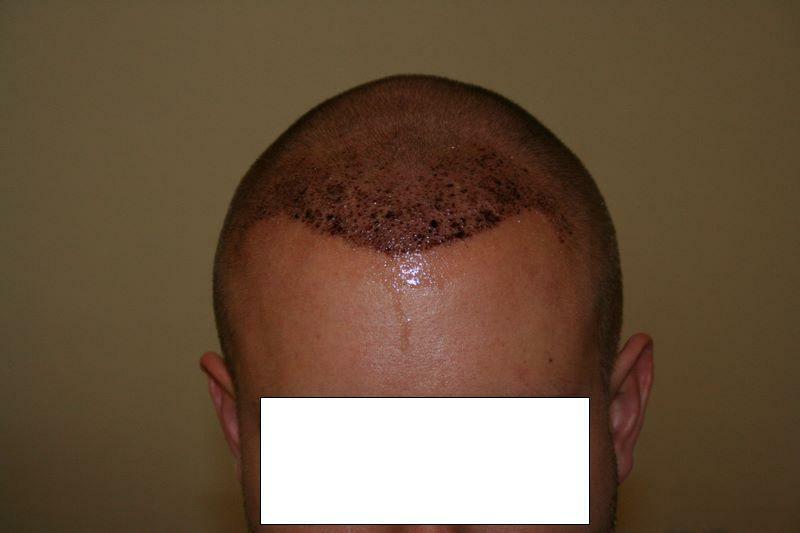 Alot of you ask to see if a Hair transplant still looks natural even if the hair is buzzed all the way down right to the scalp, or if this is an option after a transplant. This case is a perfect example. The patient below likes to wear his hair very short, he had his hairline and temples transplanted with Dr. Armani in Dubai (2,500 grafts) and is still able to wear his hair extremely short. » This case is a perfect example. » still able to wear his hair extremely short. At 3 mnths im buzzing my hair too!!! the temple recession is preserved and that makes it look natural. many doctors might be tempted to fill it in but that would look unnatural. Fantastic, this is exactly the type of pics I want to see, thank you for posting that. Hot damn, very impressive. I have always wanted to see a really buzzed down shot like this. Looks undetectable even at the very scalp. Good to see! I agree on the statement that the temples are perfectly and artisically just right and not over closed. Again thats the ARTISIC part of this world that Dr Armani has in spades. Im wondering if a person with DARK hair would look as impressive. 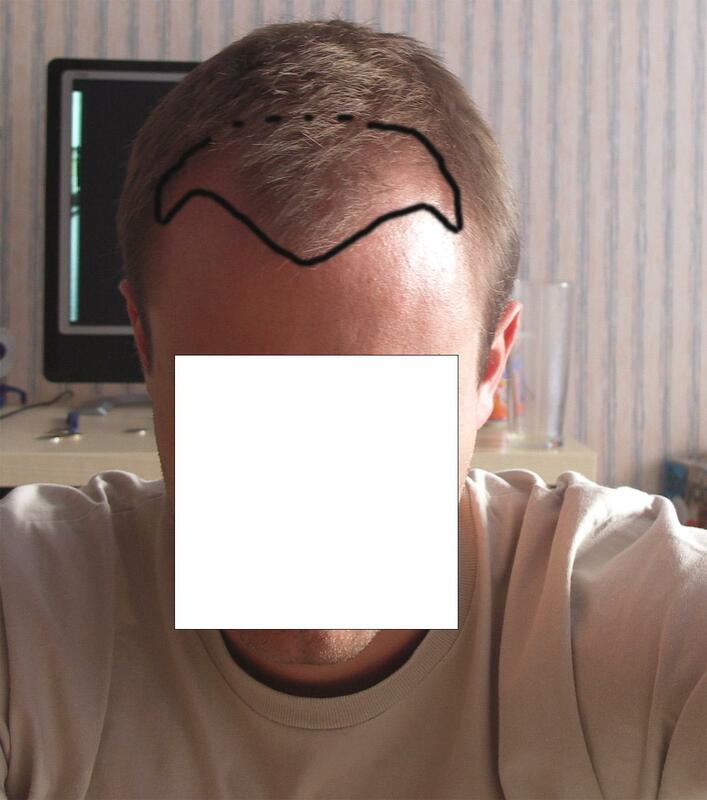 A lighter shade of hair even when balding never looks as drastic as one with darker hair. The thing is … ive seen guys balding/thinning and with shaved down heads and frankly… it didnt look that bad… almost to the point where id say … hey… i could live with that !! And its even less noticiable with a tan on a light skinned and light haired person!! Please show the “money shot” of his donor area buzzed that short. That’s the whole point of FUE, no? » Very nice FUE result. » Please show the “money shot” of his donor area buzzed that short. » That’s the whole point of FUE, no? I second that. Donor pic please. » I second that. Donor pic please. Sure guys, I will pull his file. » » I second that. Donor pic please. » Sure guys, I will pull his file. 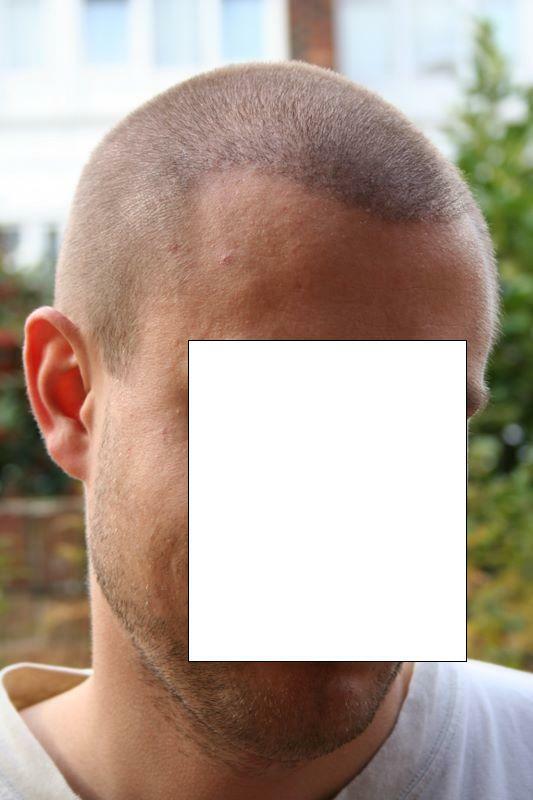 For the newbies, this is not norm, sorry, even when i buzz my head to a number 4 you can see the donor on the sides are thin, especially my right side, make sure you tell your clinic to remove the grafts evenly so it doesnt look patchy like my right side. » » » I second that. Donor pic please. » » Sure guys, I will pull his file. » doesnt look patchy like my right side. interesting…shouldnt that be common sense on the docs part? why should i have to tell them how to remove grafts in a certain way? wtf am i paying them for? lol…this is not a rant directed towards you, but i feel like if i’m chalking up X amount of thousands of dollars these dudes should know exactly what they need to do in order to give me the best results possible. » » » » I second that. Donor pic please. » » » Sure guys, I will pull his file. » » doesnt look patchy like my right side. » exactly what they need to do in order to give me the best results possible. The doctor didnt do it the techs did, and they definetly took too much from my right side about the ears. » » » » » I second that. Donor pic please. » » » » Sure guys, I will pull his file. » » » doesnt look patchy like my right side. » from my right side about the ears. that picture is impressive, to say the least! One of the main reasons to go through with a procedure like this is to have the option of changing your look from time to time, and simply having the option of cutting your hair really short is enough to keep me happy. the hairline looks incredibly natural. Good job Armani!